Gazing up into the sky, Brown Birdie is dreaming of flying high in this raw edge patchwork art quilt. Scraps of fabric, stitched down with miles and miles of sewing make up the background and tiny strips of brown and white fabric make up the feathers for the bird. 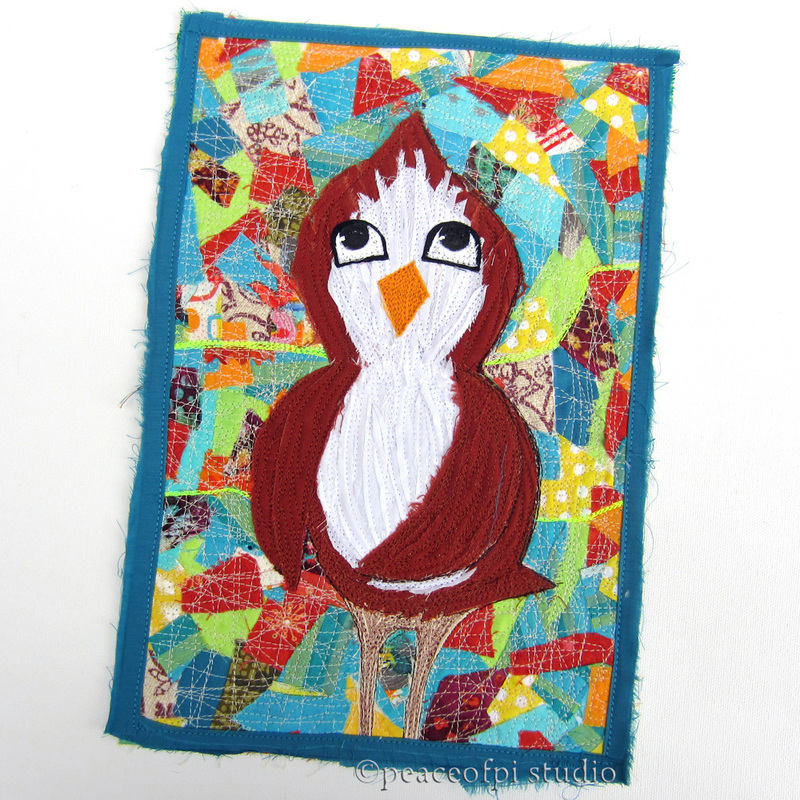 He's a cute little character, dreamt up in a sketchbook and brought to life in fabric and stitch.